A new study on solutions to combating drug-resistant MRSA and other bacterial infections finds that UV light is safe and effective for killing bacteria and toxins in artificial turf. Officials from Sports Turf Northwest say they have the UV equipment needed to disinfect artificial sports fields, and NFL officials are taking notice. 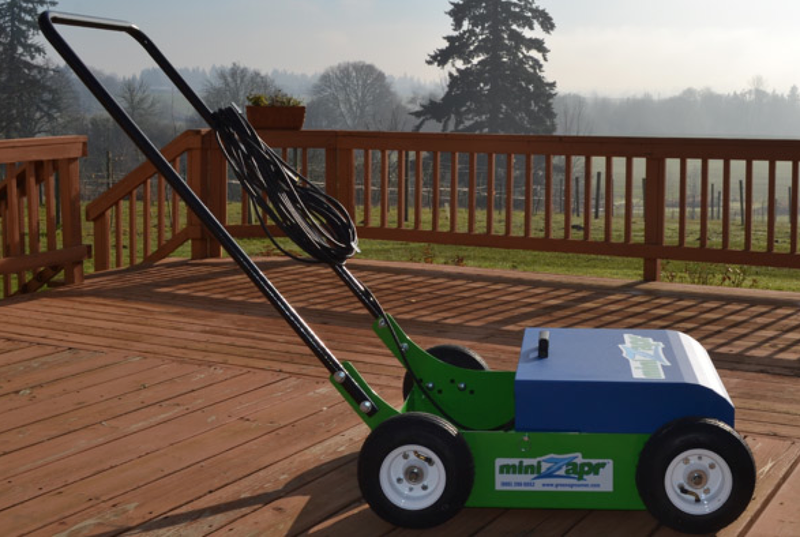 UV rays in the GreenZar and miniZapr provide non-toxic, ecofriendly disinfecting for artificial turf and other surfaces that harbor the bacteria that can cause MRSA. League officials, even those who used to be skeptical, are taking a second look at UV sanitizing products like our GreenZapr and miniZapr. Last week, Tampa Bay Buccaneers cornerback Johnthan Banks was diagnosed with a MRSA infection—the third Bucs player to be sidelined by the drug-resistant bacterial infection since August. A growing number of players and officials are getting serious about the search for a solution to curb the spread of MRSA among athletes who have contact with a wide variety of surfaces that are known to harbor MRSA bacteria. Until now, only a minority had given credence to the potential of UV light for killing the bacteria that causes MRSA, but representatives of Sports Turf Northwest say that skeptics are reconsidering the efficacy of UV light equipment for tackling infectious viral and bacterial germs in artificial turf. A new study dated Oct. 1, 2013 and titled, “Does Ultraviolet-C (UVC) cleaning for artificial turf effectively eliminate MRSA risks? 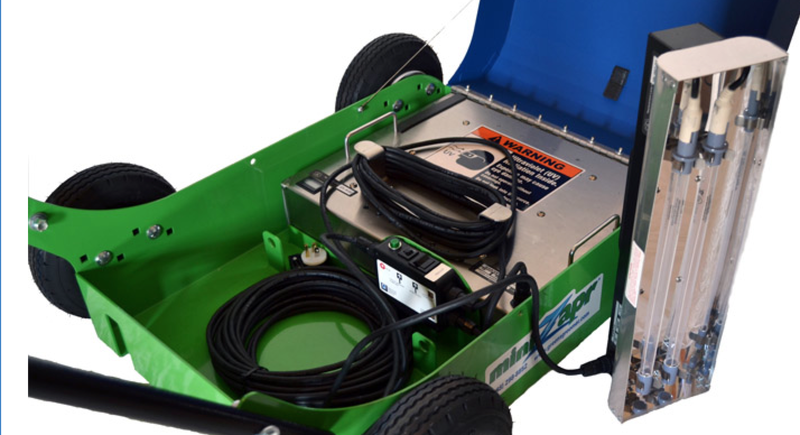 Who is using UVC for turf cleaning? And, is it effective?,” finds that UV light is an effective method to eliminate harmful bacteria that can cause MRSA from artificial turf surfaces. The findings confirm what companies like SportsTurfnw.com have been claiming all along: UVC treatment, when properly administered to the artificial turf surfaces of athletic fields, is an effective, eco-friendly solution to killing infectious bacteria that lingers in artificial grass and can lead to Methicillin-resistant Staphylococcus aureus (MRSA) infections, according to the CDC. The study, put forth by the Pacific Northwest Pollution Prevention Resource Center (PPRC), finds that ultraviolet (UV) light is considered an effective method to eliminate harmful bacteria from food, water, air, and various surfaces. UV treatment may also be referred to as Ultraviolet Germicidal Irradiation (UVGI). UVC works to destroy infectious toxins by rupturing the nucleic acids of micro-organisms, rendering bacteria inactive or harmless. The degree of the method’s success depends on variables, including application time on the surface; beam strength and use over time positioning relative to the treated surface, and other factors. Effective treatment employs the C-band, a shorter wavelength of UV light that kills germs. Numerous studies suggest that the MRSA found on different surfaces, as well as studies on non-turf surfaces and on wounds infected with MRSA, have also shown that UV light can destroy this bacteria. An additional plus for UVC disinfecting of synthetic turf fields is the fact that the process releases no harmful toxins onto the field or surrounding areas. Some liquid turf cleaners, in contrast, are toxic and may pose risks to the health of workers, children, and surrounding ecosystems. The Bucs aren’t the only NFL team battling MRSA infections, and in the face of this growing plague, the League is taking no chances. Officials have had all Tampa Bay player facilities sanitized and have heightened education on preventative measures for staff and players to avoid contracting MRSA. The CDC conducted a retrospective study and found that skin abrasions, or turf burns, were associated with all the MRSA skin abscesses in infected players, concluding that not only did the abrasions serve as entry points for MRSA bacteria, but because they typically occur in areas not covered by the uniform, once infected, these lesions become a source for contact transmissions. Overall, the re-emergence of high-profile MRSA infections has heightened public awareness of the problem, and the threat of highly drug-resistant bacterial pathogens. Even healthy individuals, including ones at the peak of physical fitness, are susceptible to severe infections. Since it is highly contagious, athletes infected with MRSA are removed from play. For more information, visit the Sports Turf Northwest website, call 503-575-9640, or email mike@sportsturfnw.com. 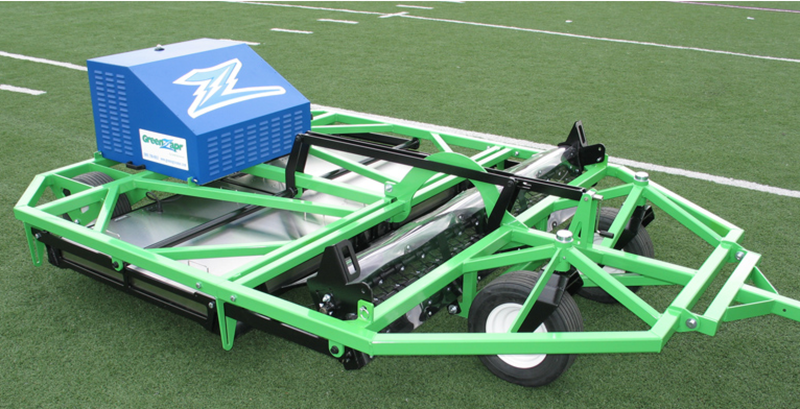 An authorized dealer for the Greensgroomer Worldwide line of natural and synthetic turf maintenance equipment, Sports Turf Northwest and its sister company UVC Health Equipment provide equipment and expertise to help all industries utilize UVC technology to eradicate harmful bacteria and viruses from surfaces. Sport Turf Northwest donates a percentage of every sale to the Brian Grant Foundation, established in 2010 to support efforts to build awareness, increase early diagnosis, and educate patients and their families on Parkinson’s Disease. The Foundation also provides a viable forum for people affected by Parkinson’s.